How To Serve Responsive Images On Your Site? 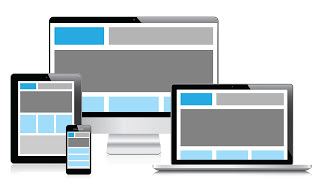 Responsive Web Design (RWD) has now become one of the the most important web design techniques nowadays, and it provide the cornerstone for modern mobile web development. Implementing a few RWD techniques to your blog can give it the edge it needed, nay deserved, to entice its mobile users to visit more often. So while we're on the subject of implementing RWD techniques, let's talk a bit about serving truly responsive images, because there are a couple issues every webmaster faces when dealing with images, responsively speaking. Usually, Responsive Web Design has to with fluid images, i.e. images that resize themselves depending upon the users' screen size and resolution. They work fine for desktops and tablets, but the biggest problem with fluid images is, no matter what client the user has, the same image size will be sent to them. The user agent then resizes the image according to the specifications at hand. This can be a problem for mobile data connections, and can reduce load time on a mobile. You can, however, use a number of techniques to serve images of different sizes to user agents. If you have a WordPress website, then you're in luck, because there are various plugins you can use to do the job for you. One such script is the Adaptive Image. Adaptive Image is a small PHP script that detects user screen size and deliver the proper image for that screen size. It does not require the changing of your current <img> markup, but the implementation is rather intimidating for less tech-savvy users. i will try to apply this, but i know, it will be very difficult in my part. i'm grateful that i got to know this very nice blog. thank you.